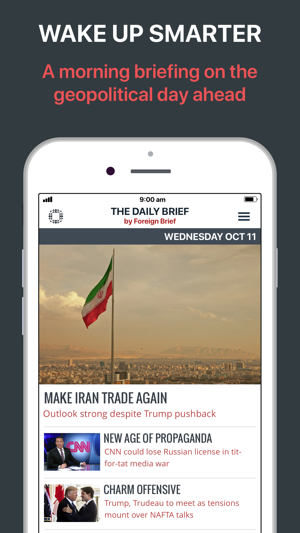 Wake up smarter with a morning briefing on the geopolitical day ahead. Forward-looking reports delivered at a time that suits you - the choice of global influencers the world over. 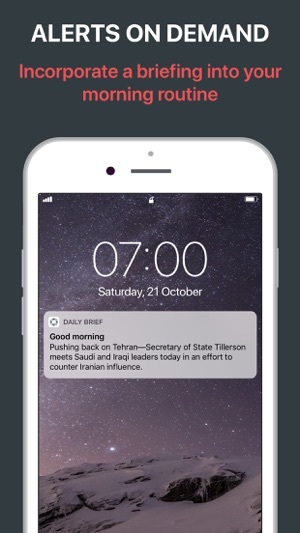 The Daily Brief provides assessments of key political, economic and security-related events happening in the next 24 hours. 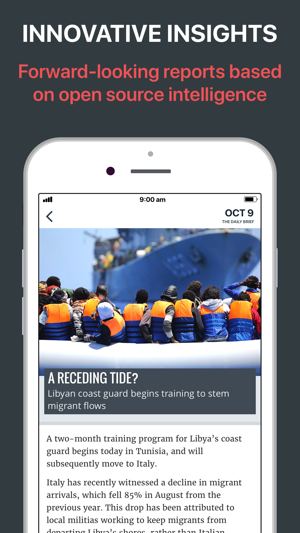 Reports are short, sharp and designed to be consumed on the go. Work 5 minutes into your morning commute, over breakfast, or even in line for coffee and receive global situational awareness that empowers your decision-making. We're currently hard at work completely rebuilding the Daily Brief adding a tonne of new content and features that will be releasing later this year. For now though, just a small bug fix. - This update fixes a timezone bug that caused multiple notifications to be delivered in the morning. Big thanks to those that reported this issue to us! Pithy articles and insights spanning issues and events across a wide range of countries and global regions that are often overlooked by other media outlets and analysts. 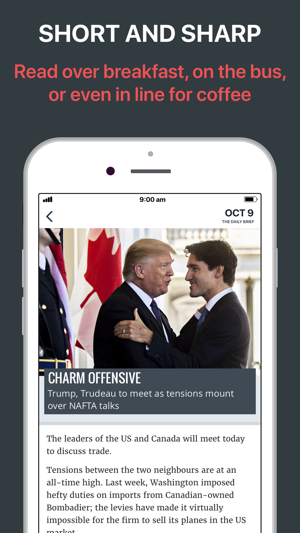 A refreshingly simple way each morning to keep in touch with key happenings across the world.